This Open Access proceedings presents new approaches to Machine Learning for Cyber Physical Systems, experiences and visions. It contains some selected papers from the international Conference ML4CPS ? 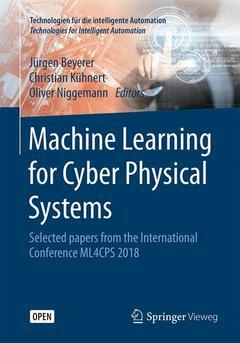 Machine Learning for Cyber Physical Systems, which was held in Karlsruhe, October 23-24, 2018. Dr. Christian Kühnert is a senior researcher at the Fraunhofer Institute of Optronics, System Technologies and Image Exploitation IOSB. His research interests are in the field of machine-learning, data-fusion and data-driven condition monitoring.